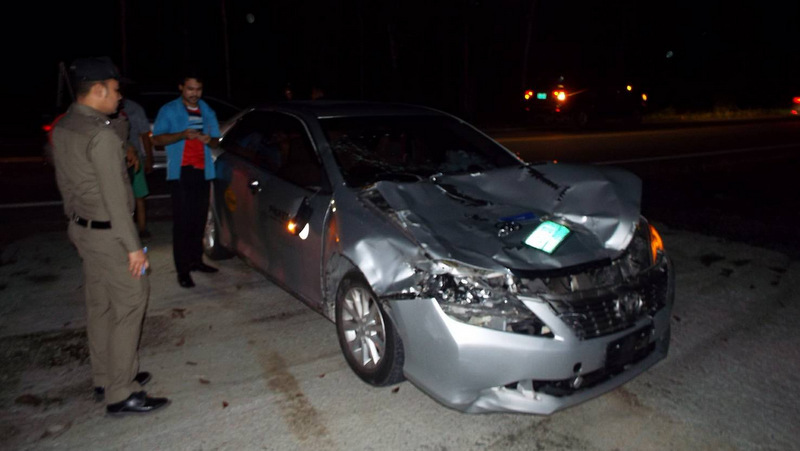 PHUKET: Two Korean tourists arriving on Phuket were given a rustic welcome when the taxi they were travelling from in airport in hit cow early yesterday morning (Jan 15). 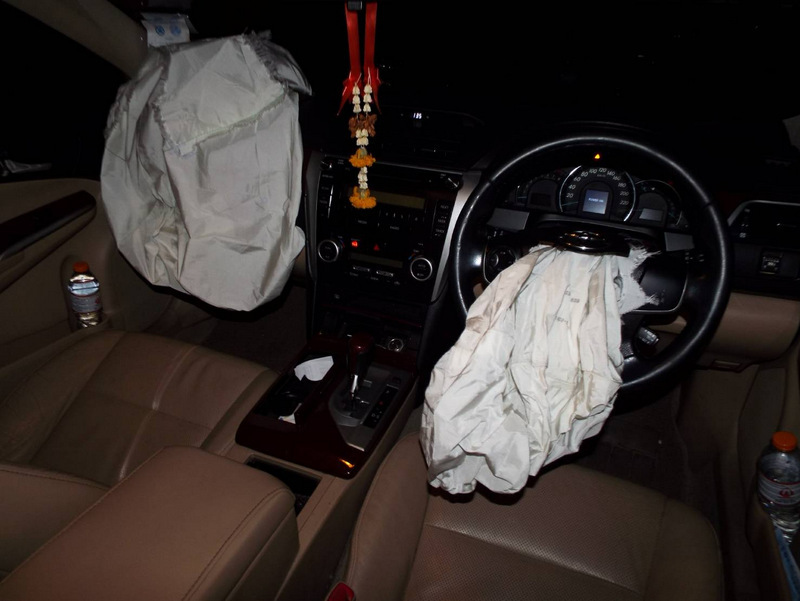 Capt Ekkasak Koanwan of the Thalang Police was notified of the incident at half past midnight. Police and rescue workers arrived at the scene, on Route 4031, near the Saladaeng Intersection on Thepkrasattri Rd, Thalang, to find the taxi with heavy damage to its front and a broken windscreen. 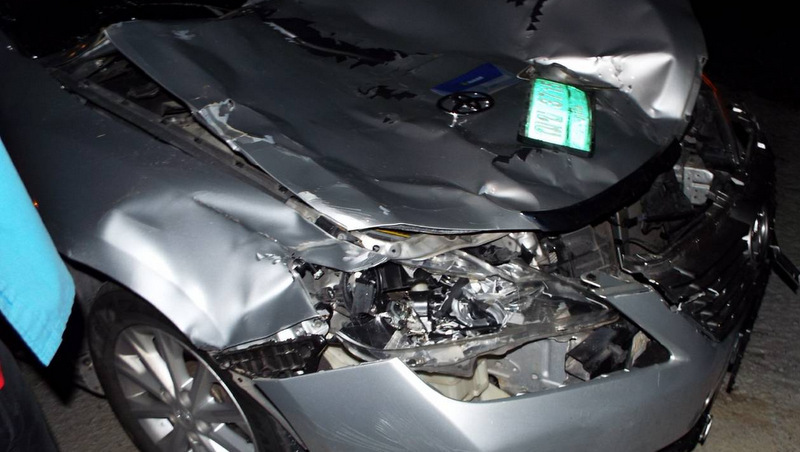 The air bags had been deployed in the impact. Taxi driver Thassanu Buapim, 24, told police that he had picked up the two tourists – a man and a woman – from the airport and were taking them to their hotel in Patong when a cow ran out in front of the vehicle. 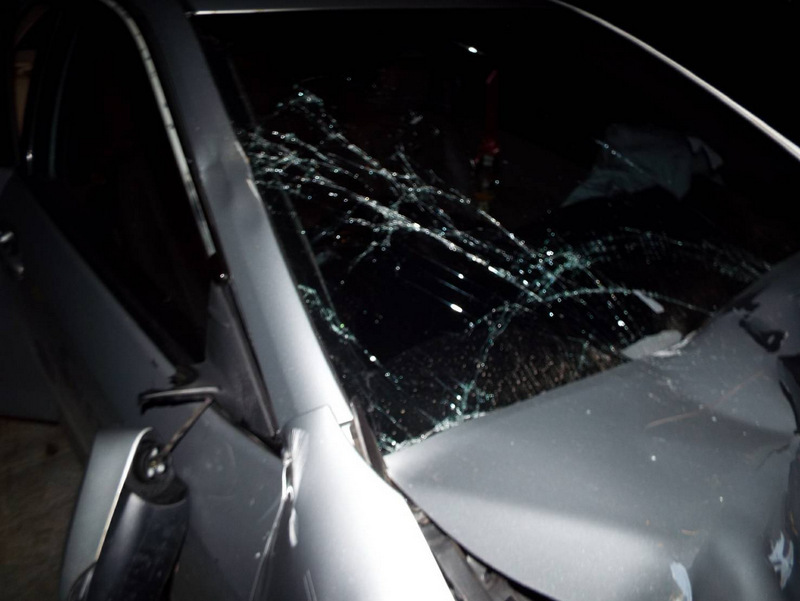 Mr Thassanu was unable to brake in time to avoid hitting the cow, which ended up on the bonnet of the car, before scrambling away obviously injured into the rubber plantation beside the road. No people were injured in the incident, Capt Ekkasak noted. “We are still looking for the cow. No one has presented themselves to police as the owner. They are probably frightened of having to pay damages,” he said. Poor cow, badly wounded, and not having a owner. What a suffering.